New England Aquarium President and CEO Bud Ris is attending a meeting of the Phoenix Islands Protected Area (PIPA) Trust in Tarawa, Kiribati. He will be accompanied by Conservation Projects Coordinator Regen Jamieson. 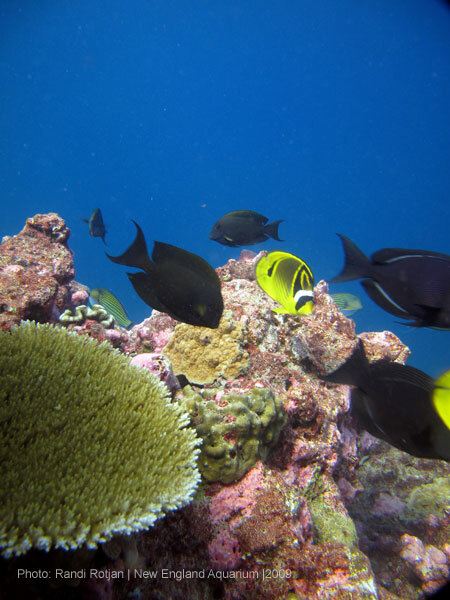 In this post, Regen gives some background on Marine Protected Areas (MPAs) and the Aquarium's involvement in PIPA, one of the largest marine protected areas in the world. 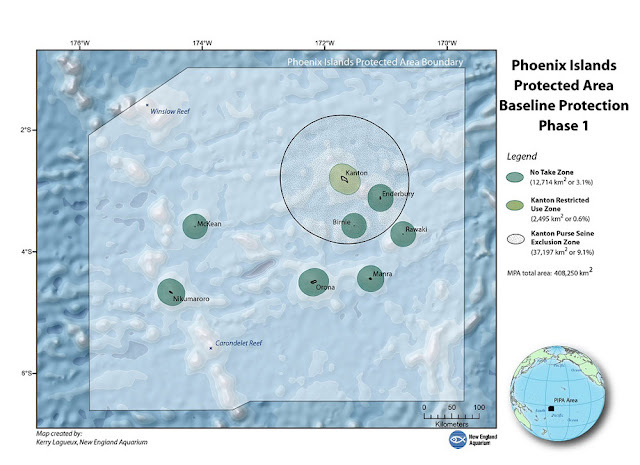 So before I get into the Phoenix Islands Protected Area (PIPA) Trust itself, I want to go into a little bit about marine protected areas and PIPA in particular. The International Union for Conservation of Nature’s definition of a MPA is: "Any area of intertidal or sub-tidal terrain, together with its overlying water and associated flora, fauna, historical and cultural features, which has been reserved by law or other effective means to protect part or all of the enclosed environment." PIPA was established under Kiribati law in 2008. It was the first marine protected area (MPA) ever established in Kiribati. At the time, it was also the largest marine protected area in the world, and it was the largest conservation effort of its scale by any developing country. It was an incredibly bold step for this Least Developing Country (LDC) as PIPA Director Tukabu Teroroko touches upon in his post here. Since establishment in 2008, any activity that takes place within the MPA boundaries requires a permit. Seven of the eight islands are No Take out to 12 nautical miles. 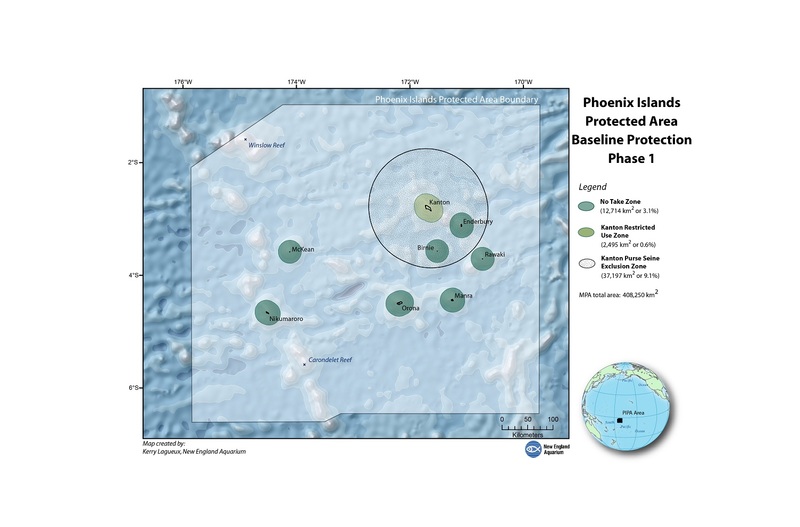 This maps shows the boundaries of the Phoenix Islands Protected Area, the eight atolls and islands, and the current management zones: No Take Zone, Restricted Use Zone and the Purse Seine Exclusion Zone. All areas outside of these zones are non-restrictive, but require a special permit. During the next phase of implementing the PIPA Management Plan, Kiribati intends to zone an additional 25 percent of the MPA as No Take as measure to conserve tuna stocks. This will increase the No Take zone to 28.1 percent. While this may seem small, this is no mean feat. 25 percent of one of the largest MPAs is over 100,000 square kilometers of open ocean. 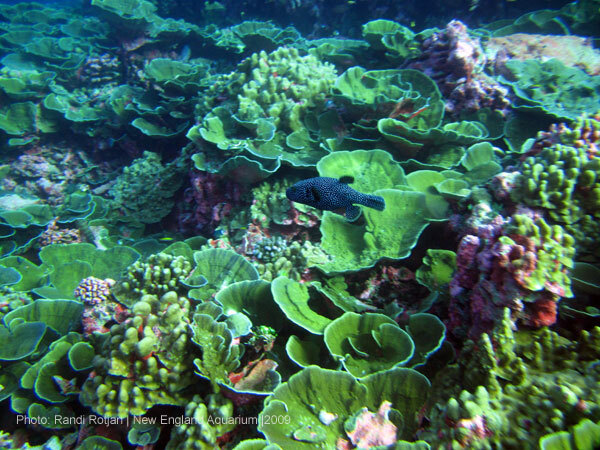 Most MPAs are not even close to this big! It is notable that when the Great Barrier Reef was established in the 1970s, it included zoning of less than 4 percent of its area. However, to do this, we must raise sufficient funds in the conservation endowment to off-set any lost revenue. Kiribati gains 35 to 40 percent of its government revenue from the fees it gets from selling foreign fishing licenses. This supports government schools, employees, hospitals and more. They can not afford — like wealthier countries with large MPAs, including the United States, Australia and the United Kingdom — to just loose this critical income and not replace it somehow. This is where the PIPA Trust comes in. Using the model of forest concessions (where you pay landowners in the Amazonian rainforest and beyond to NOT harvest their forests for lumber) Kiribati, who owns the Phoenix Islands and the rights to fish in their exclusive economic zone (EEZ), will recoup any losses by receiving income from a conservation endowment. The PIPA Trust is a separate, non-governmental charity established under Kiribati law. It is the entity that houses and manages the conservation endowment. It has an independent board of directors and each of the founding partners of PIPA have a permanent seat on the board — Kiribati, the New England Aquarium and Conservation International. In addition, the Trust may have six additional directors, and the majority, by law, must be non-governmental members of civic society. Bud Ris, New England Aquarium President and Chief Executive Officer was nominated by the Aquarium to the board in late 2009. As one of three founding board members, he plays a pivotal decision-making role. In addition to Bud, our friend and colleague Dr. Greg Stone was nominated to represent Conservation International, and representing Kiribati is the Minister of the Ministry of Environment, Lands and Agricultural Development, the Honourable Tirarte Kwong. 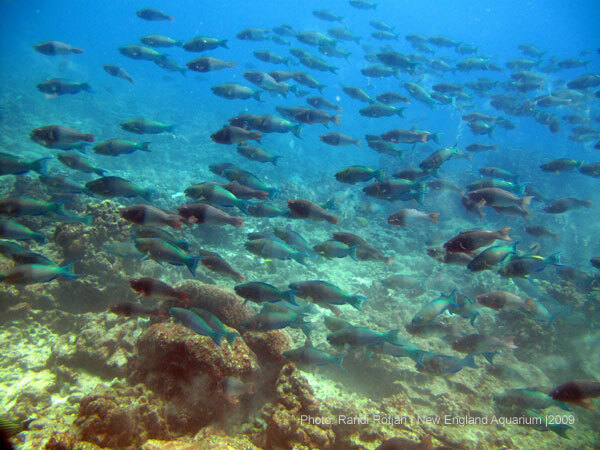 In a future post, I will talk more about the PIPA Trust, our plans to extend the MPA No Take Zones and mechanism through which we will finance this: the Conservation Contract.